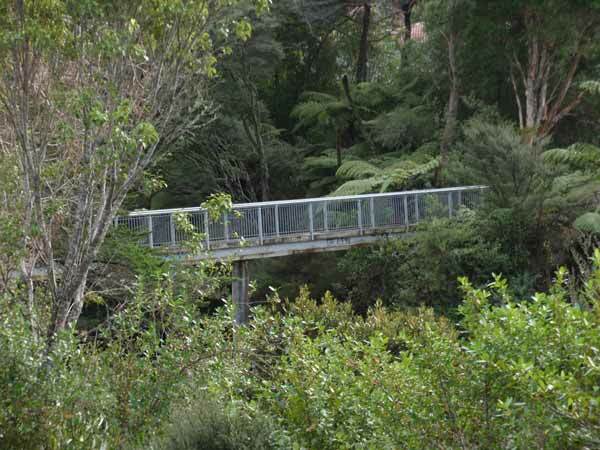 We have been working together with Auckland Council for some time with the aim of improving safety along the Sunline Avenue/Woodside Rd footbridge that spans the Huruhuru Creek at the point where it joins the Swanson Stream. The footbridge is surrounded by bush which is great but unfortunately there were also large stands of bamboo, which obstructed visibility when looking towards the bridge, making people feel unsafe. We have been advocating for lighting and this is also due to be installed by Auckland Council soon. 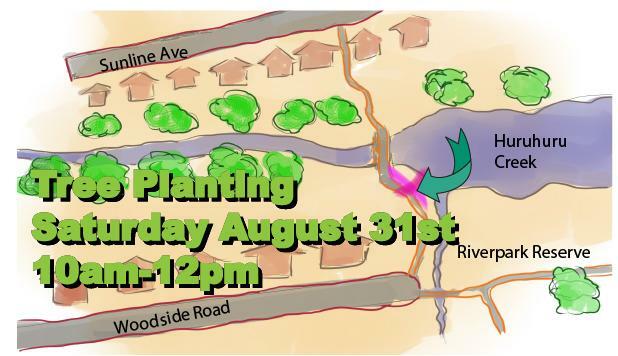 There will be a community planting day on Saturday 31 August from 10am -12pm to plant the areas previously filled with bamboo stands. The area has now all been mulched and is ready for the shrubs to go in on 31 August. We need plenty of volunteers to help with the planting of about 300 small trees and shrubs. It’s a good opportunity to get together with neighbours to do something positive for the community. Gloves and spades will be provided for volunteers. Please let us know if you can help on the day by writing to rag.riverpark@gmail.com, by posting a comment or by participating in the poll below. There was a mugging on the bridge in June 2012 which gave our group additional motivation to try to make the bridge safer. Graffiti along the fence is also a continual annoyance and we are hoping that having more visibility combined with lighting (when it comes!) will help to dissuade the taggers. Read the history of the project Let there be light!